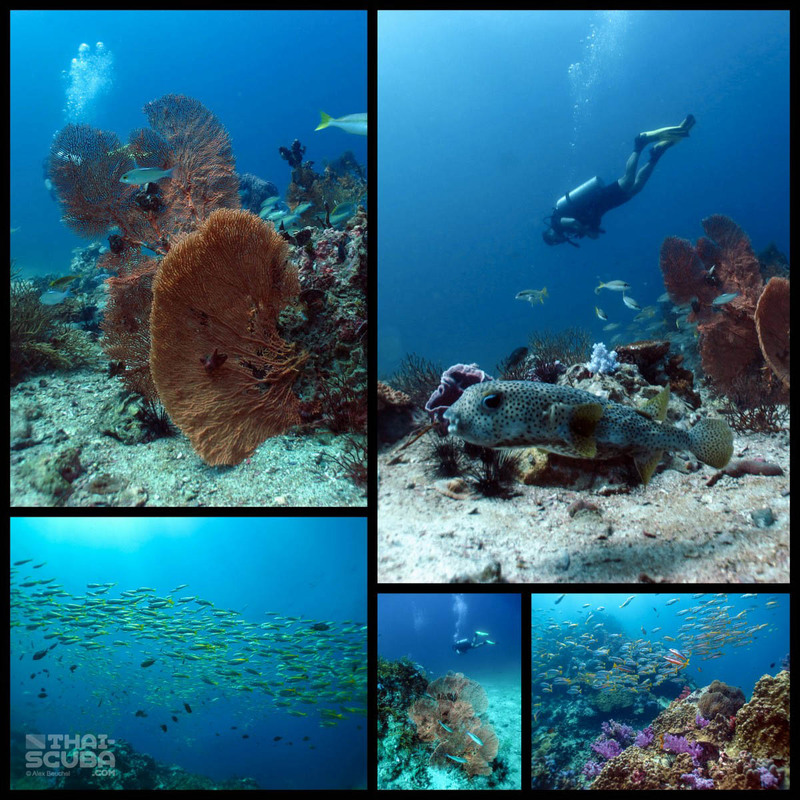 Shark Point is a usual dive in combination with a wreck dive at the King Cruiser Wreck, only a very short distance away. 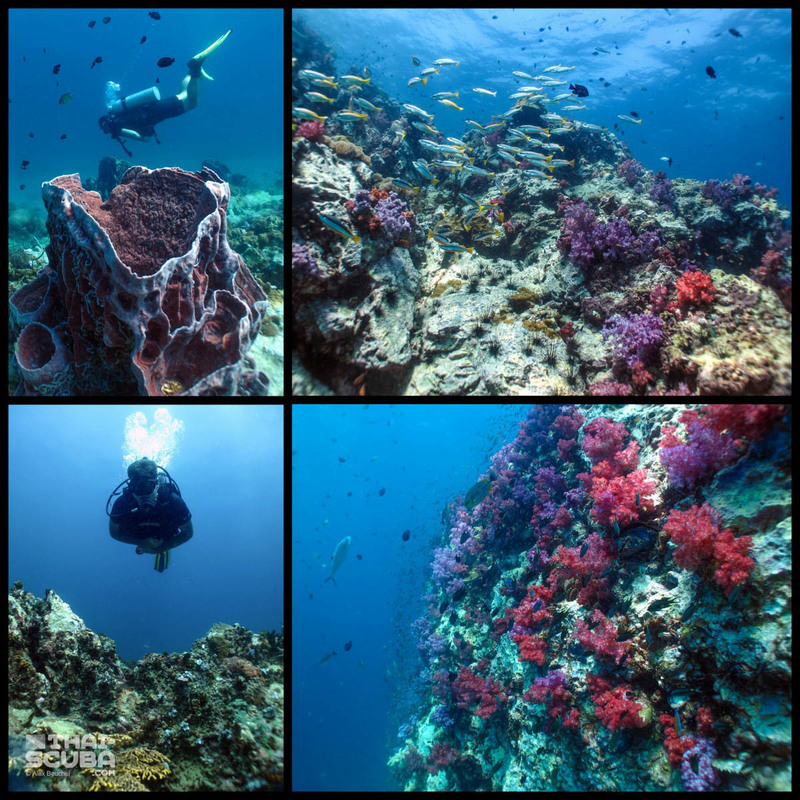 Above the surface, Shark Point is a small rock formation fitted with a prominent signal marker to avert any possible ship collisions. 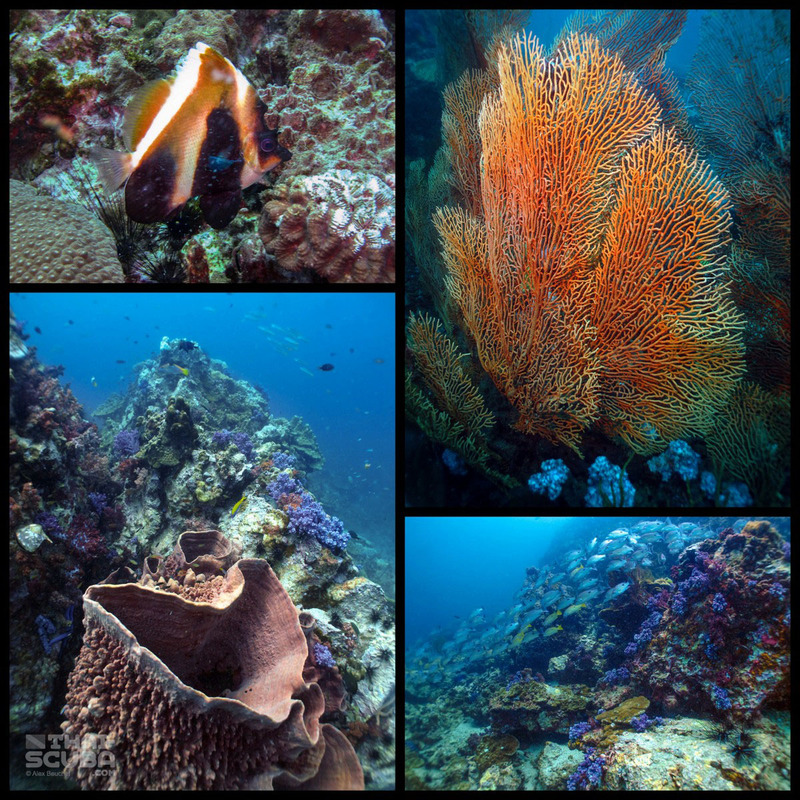 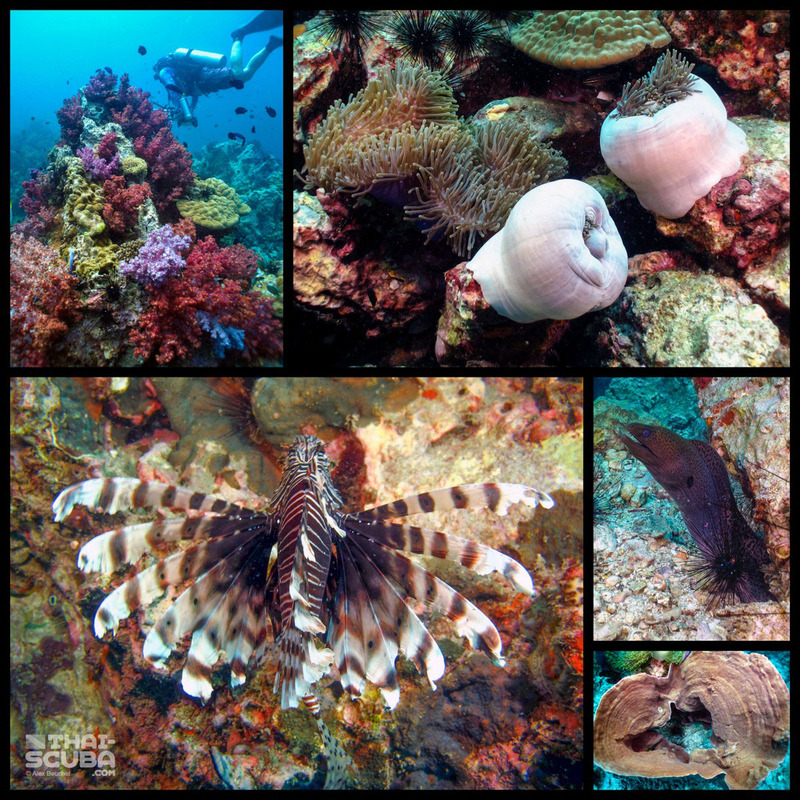 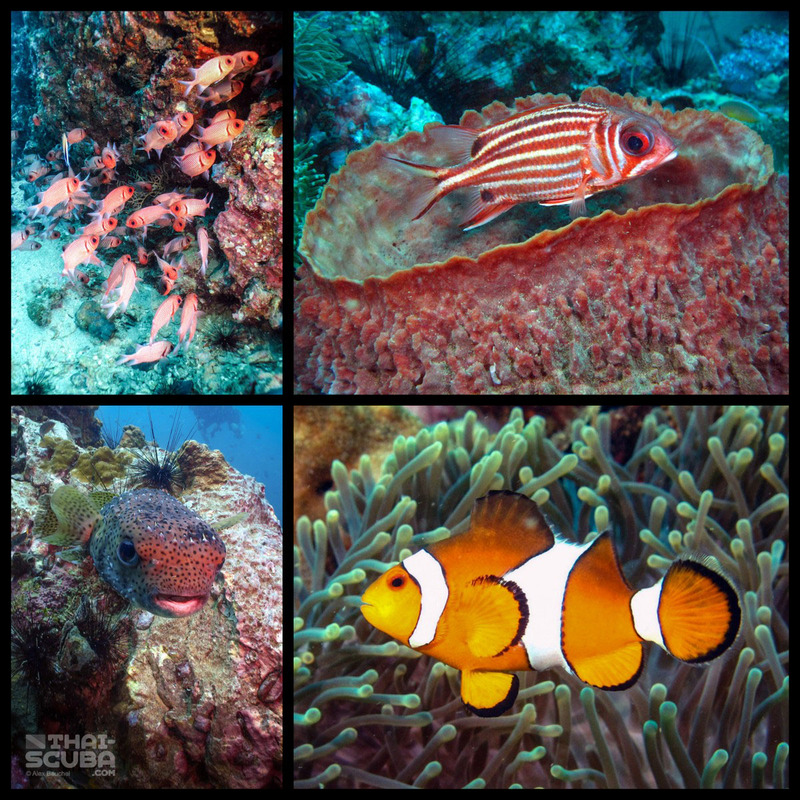 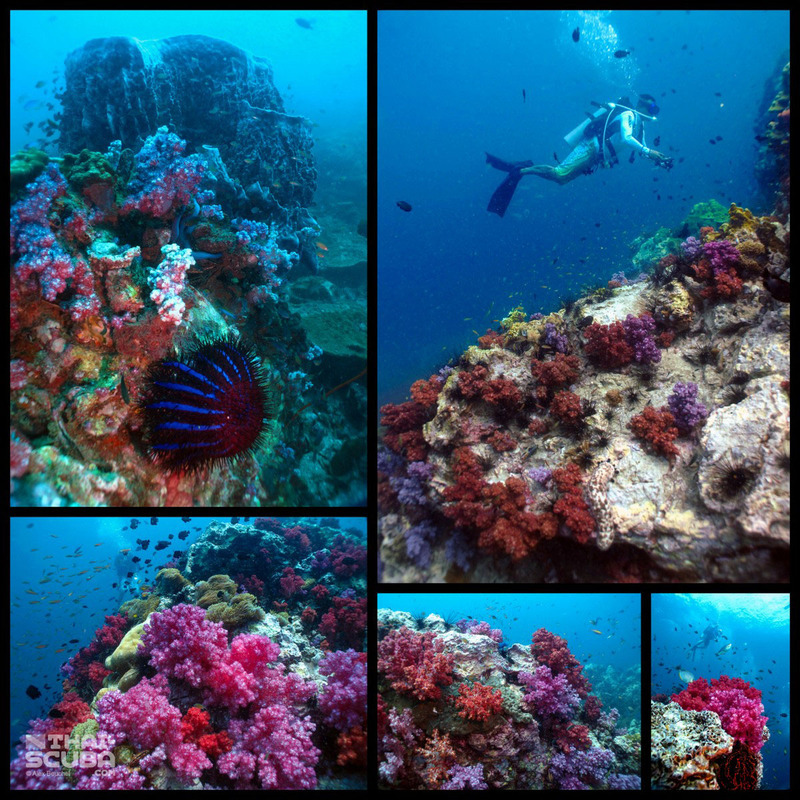 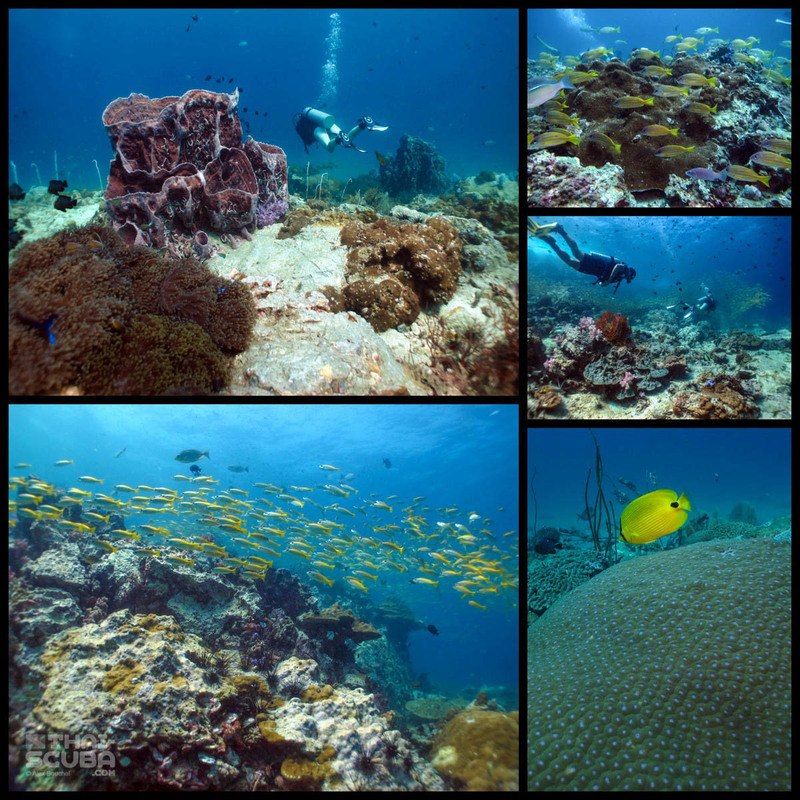 Underwater it offers a nicely laid out reef of rock formations with all the highlights Phuket diving has to offer. 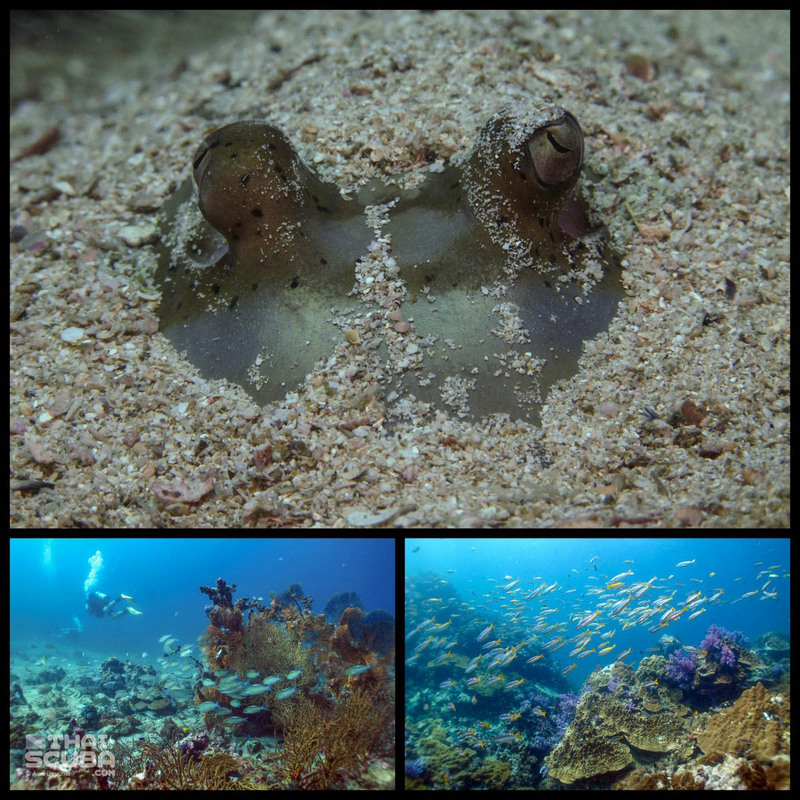 A usual dive would start on the northern end, following the profile of the island to the southern side. 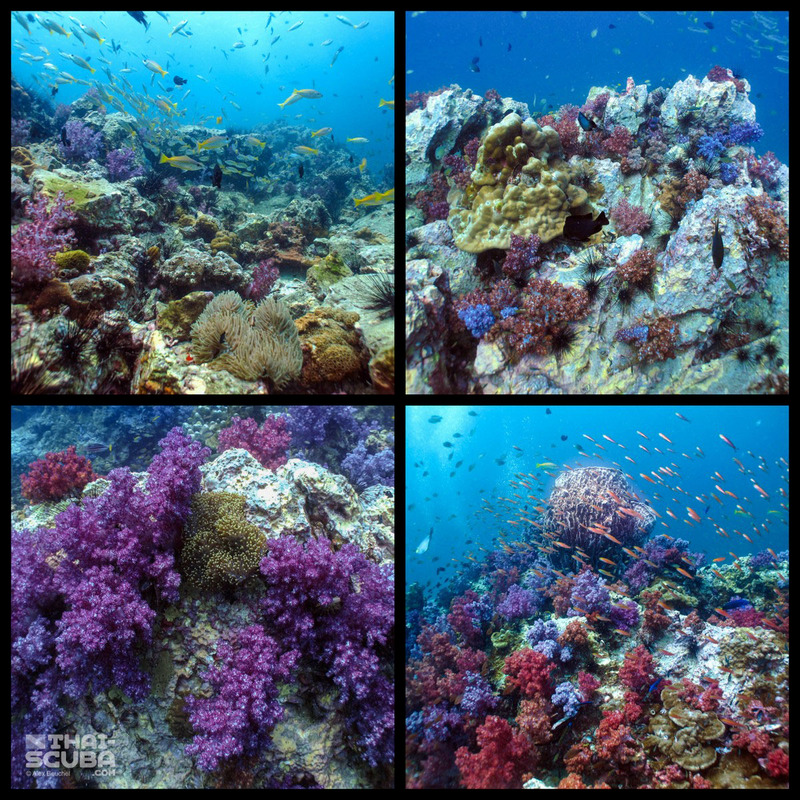 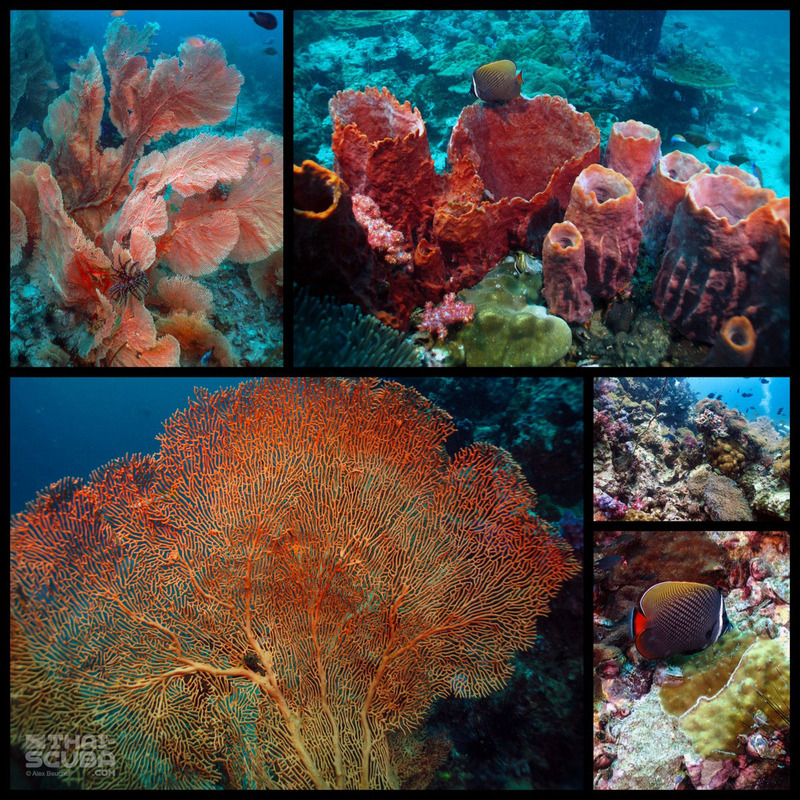 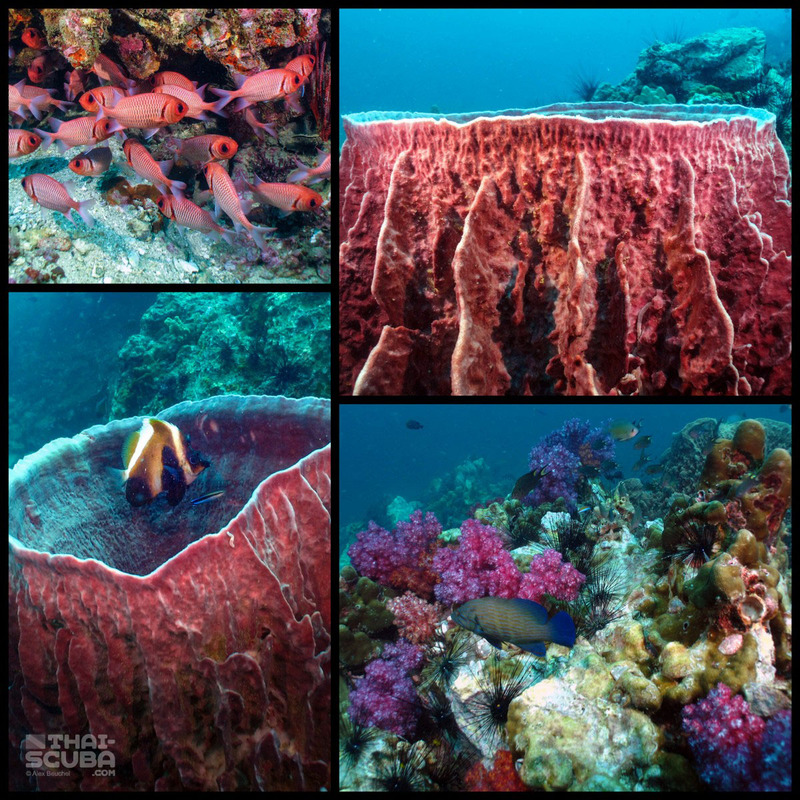 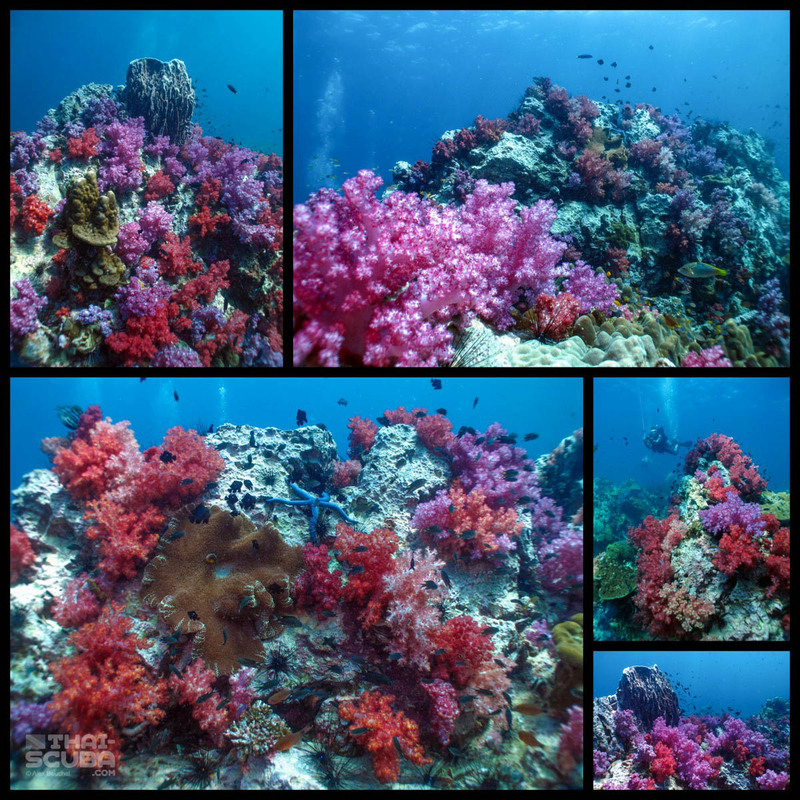 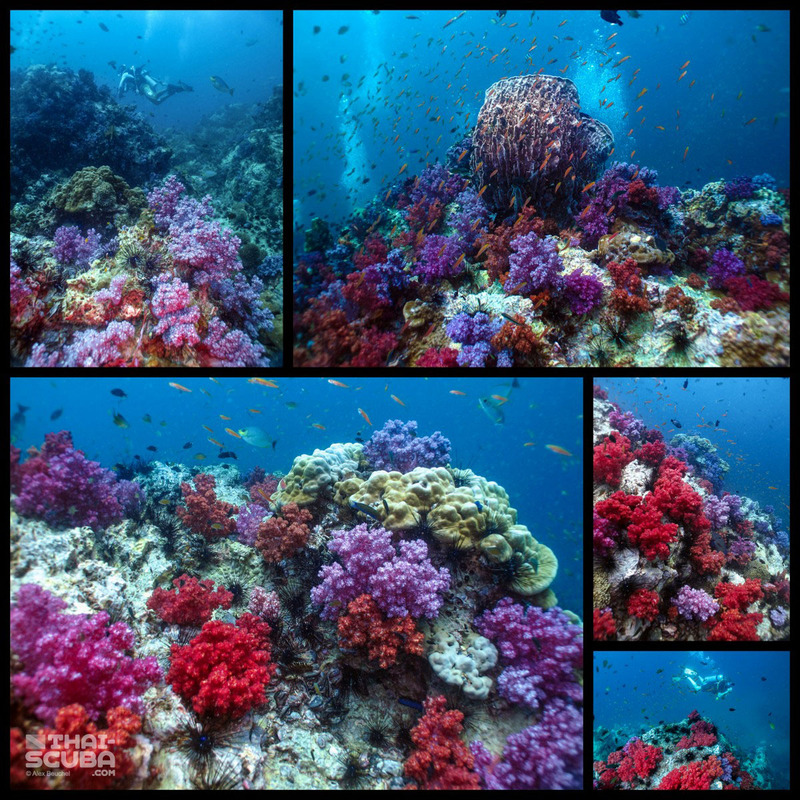 The true highlight of the dive is however a cluster of pinnacles south of the island packed with the most stunning display of magenta and burgundy colored soft corals that you will find anywhere in Thailand. 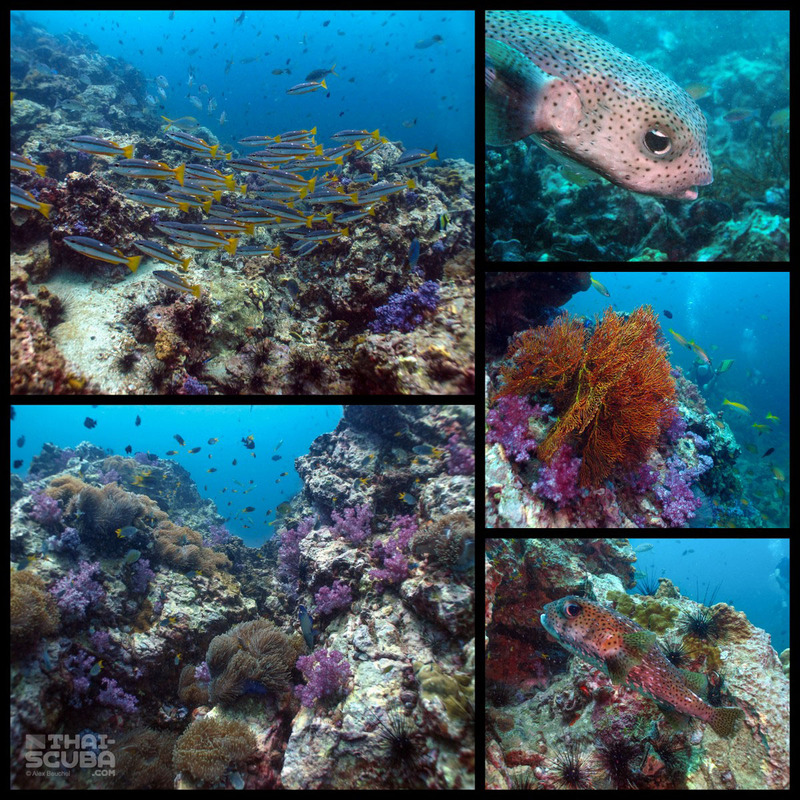 The tips of the pinnacles vary in depth from 16 – 8 meters, the southernmost pinnacle offers the perfect safety stop with a depth of 5m to complete your dive with a big smile on your face.